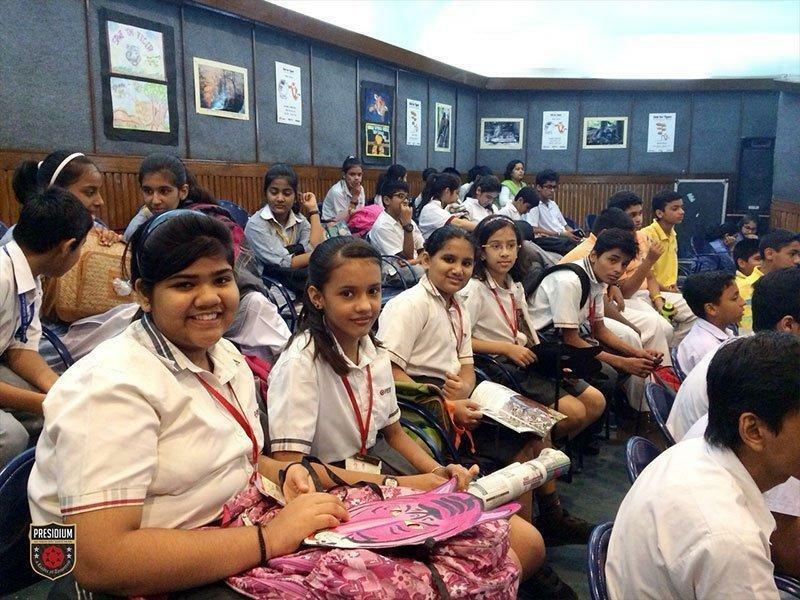 Kids for Tigers and NDTV celebrated the Global Tigers Day at Modern School, Barakhamba Road, on 29th July, 2015, with a seminar. Presidians from Presidium Dwarka 22 and Gurgaon attended the seminar. 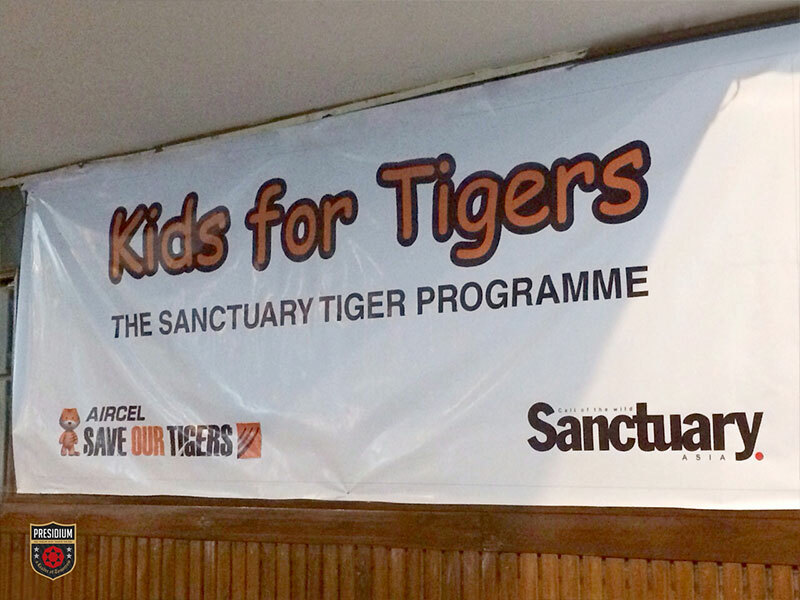 The event was attended by Mr. Bittu Sehgal, Sanctuary Asia’s editor, and founder of the Kids for Tigers programme; Ms. Brinda Malhotra, Head CSR, Aircel and renowned actress Dia Mirza, who was the guest of honour. 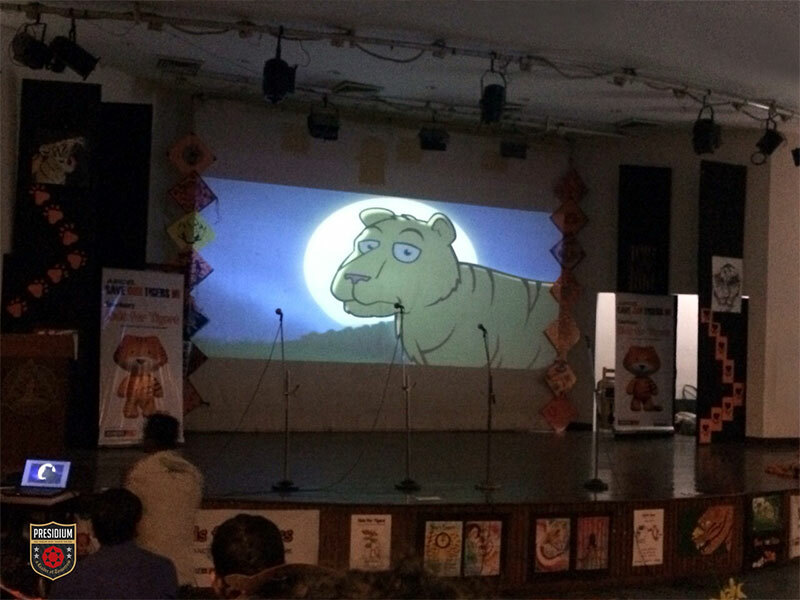 The programme started with a short film on ‘Save Tiger’. Mr. Sehgal addressed the children and explained the purpose of the seminar with a lot of enthusiasm. He encouraged children to ask questions so that he could interact with them in a better way and also so that they could think earnestly. Guest of honour, Dia Mirza, shared her realizations about the need to stand up and bring a radical change in the thoughts and actions of humans towards making the world a more habitable place. The seminar concluded with another powerful short film on Save Nature, Save Earth. To bring out their creativity about nature, ecology and the role of the tiger in our lives as well as to make the event vibrant and colorful the children painted posters, made masks and also painted their faces. The purpose of the seminar was to sensitize children towards saving our wildlife. 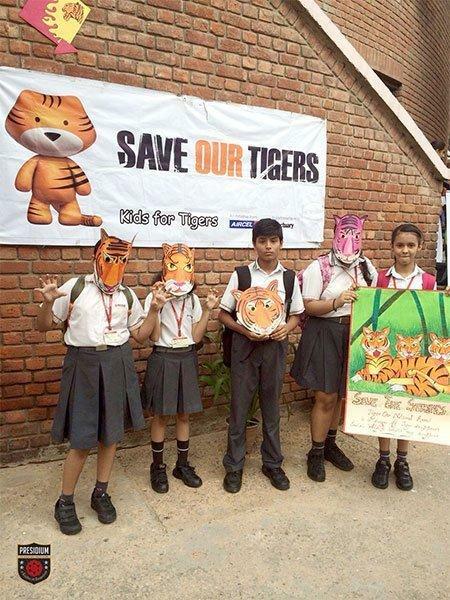 The children realized the fact that tigers are a crucial part of the whole ecosystem and it is absolutely essential to save tigers to save nature. It was a wonderful experience and opportunity to connect our students with Mother Nature.